Over the last 20 years, Cross Laminated Timber (CLT) has grown to become a widely used and highly successful engineered timber product. Following its popularity across Central Europe, the material was first used in the UK by Eurban almost 15 years ago and is now fast becoming an established building system in the British construction industry. CLT has developed a special role in the mid-rise residential sector, promoting worldwide interest with its potential for a range of mid-rise builds and the possibility for even larger projects. 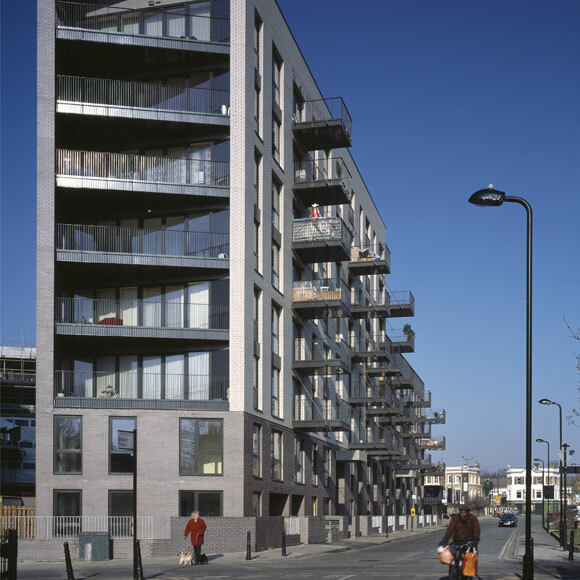 The first mid-rise CLT building in the UK was a mixed-use development comprising commercial and residential units at Waterson Street in London. Built in 2005 by Eurban, the development rose to five storeys, making it the world’s tallest residential CLT project at the time. Over the following years, Eurban has led the way for CLT. 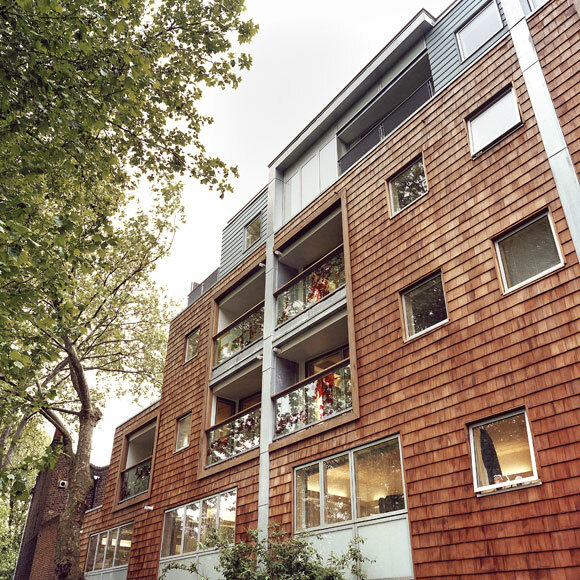 In 2011, they completed the eight-storey Bridport House, which at the time was the biggest residential CLT project in Britain. 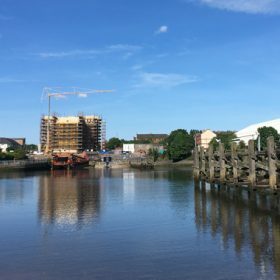 This was followed by a variety of multi-storey CLT buildings, including Newington Butts in London and CCG Yoker in Glasgow, Scotland’s highest timber building. 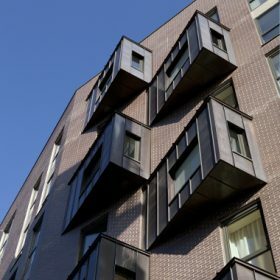 With a growing number of CLT buildings appearing across the UK, interest in the system is increasing, particularly for mid-rise residential sector projects where traditional timber systems have reached their limits. Recent projects have also shown that CLT offers a viable alternative to steel and concrete. A key part of this competitiveness lies in the faster build programme of CLT systems. Since CLT buildings are installed at a faster rate than steel or concrete ones, developers benefit from earlier income of rents and reduced financing costs. As well as reducing expenses during the construction period, a faster build programme reduces disruption to neighbours, which is a key consideration when working on tight urban sites thanks to lower noise levels and fewer material deliveries. These benefits are bolstered by the fact that the CLT construction process is optimised by the precision of offsite manufacturing. Building elements like doors and windows can be produced from drawings and installed after the structure has been erected, avoiding the need to repeatedly take onsite measurements. Beyond the construction process, the use of CLT has the unique ability to create low carbon or carbon neutral developments. This is particularly attractive to developers, who face challenges of delivering on their carbon reduction quotas. In terms of reducing the carbon footprint of the industry as a whole, CLT buildings are made up of recyclable structural materials. Building parts can be dismantled in the same way as they were installed, so these parts can be reused or converted into other wood products such as OSB or chip board. And ultimately, if the timber can’t be reused or recycled, it can be used as biomass fuel. A CLT building never needs to go to landfill. As well as benefiting developers, CLT buildings benefit the residents of the developments. Due to the mass of a CLT structure, it prevents overheating in summer and controls the humidity level far better than concrete, providing residents with a highly improved indoor air quality. CLT has an exciting future ahead. A number of projects previously planned as concrete are set to change to solid timber, which will draw significant interest and raise awareness of the benefits of CLT systems. Of course, the best way to convince stakeholders of the benefits of CLT is simply to deliver more projects, and demonstrate how well the buildings deliver in practice. While CLT is now an established system in the mid-rise residential sector, the next step is to consider how CLT can apply to taller structures. 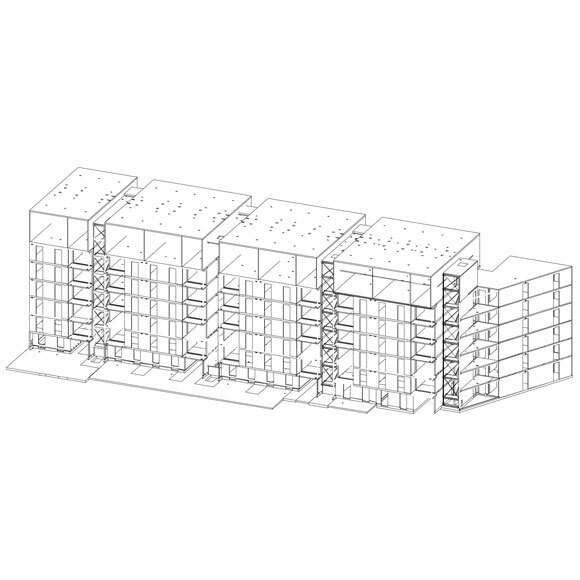 Eight years ago, Eurban undertook a feasibility study for a 19-storey tower in East London. Retail and offices spaces were proposed for the five lower level floors. These lower floors would form the concrete base. The above floors would comprise a 14-storey residential CLT tower. To achieve the horizontal stability, the core would be designed in concrete, with the apartments arranged in rings around the core. The results of the feasibility study were highly positive, demonstrating the possibility of creating a high-rise building in CLT. As well it being viable from a technical perspective, it was also competitive financially. For CLT to continue to reach new heights, it will be critical to achieve a European design standard, which will define the possibilities, behaviours and uses of the product. This will clearly set out the standards for CLT usage, and represent another step in the ongoing development of solid timber buildings. At the current rate of progression, it’s only a matter of time before Cross Laminated Timber breaks the twelve-storey mark.